9ct yellow gold plain 3mm D shaped court ring. Classic and simple. 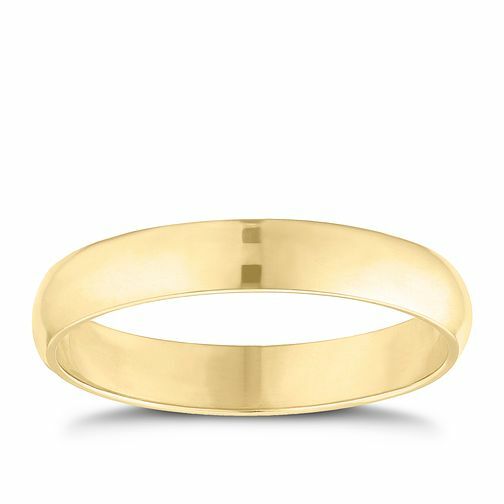 9ct yellow gold 3mm extra heavyweight D Shape ring is rated 4.5 out of 5 by 2. Rated 5 out of 5 by Anonymous from Beautiful ring My husband loves this ring, and it looks wonderful on. I was worried it would be thin, but it doesn't at all. Excellent quality as always.